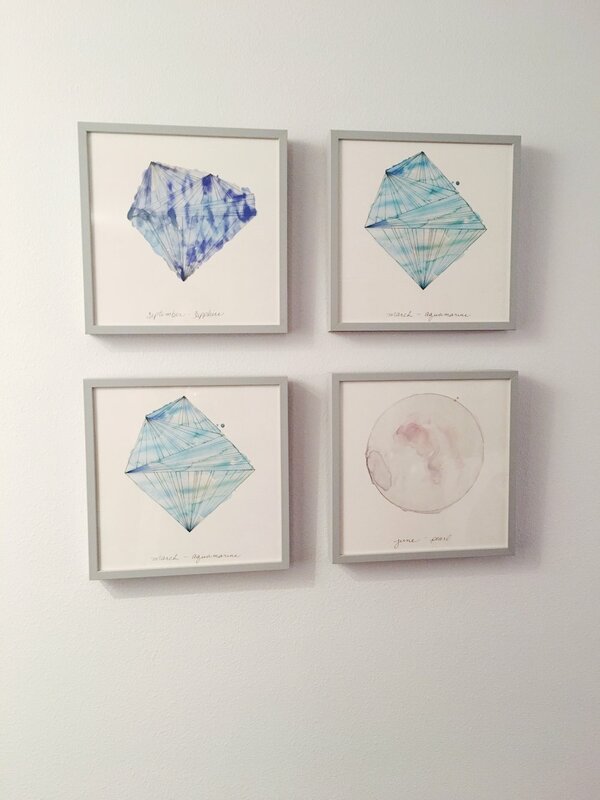 I've had my eye on these birthstone prints for two years, and now we proudly display them in our basement living room. Aren't they amazing? 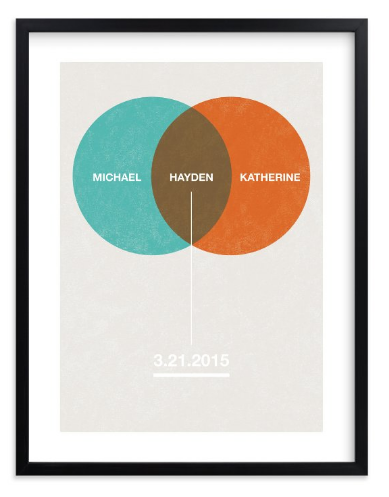 When Minted reached out to see if I wanted to try their art, I knew exactly what I wanted. 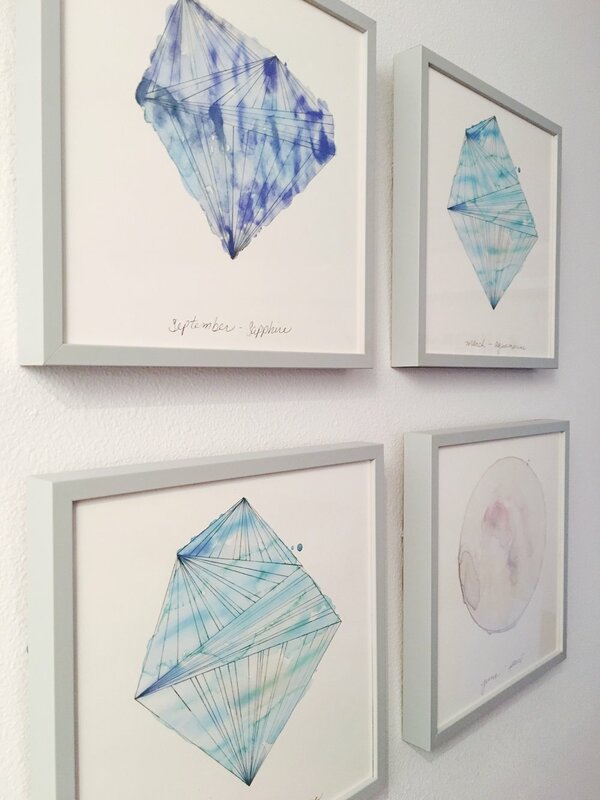 These gorgeous prints were created by artist and photographer Naomi Ernest, who lives in Ann Arbor, Mich., with her husband and five kids. I love that Minted features work from several independent artists and lets you learn more about them and how their art is created. Naomi was actually inspired to create these after watching her 4-year-old paint gemstones. I think that is so cool! The prints are Limited Edition, meaning only 350 were created in each size and colorway, and they will not be re-released once sold out. Our prints are 11"x11" but ended up 12"x12" once framed. We had them framed by Minted and chose the Light Gray Wood Frames that are handcrafted in Italy. The color is just enough different from the wall color to make them stand out, but soft enough to not take away from the lovely watercolors. The gemstones are able to shine and, gosh, I love them so much. Is it weird to love a piece of art this much? Hanging them was an interesting task - we only needed four holes, but of course we ended up with seven. Isn't that always how it goes? Pro tip: If you need help on placement, hang your wall art 57" from the floor to the center of the art. (We actually break that rule often, though, because we are both tall and it usually looks too low to us...) One of our other favorite professional designer tricks is to secure the frame's bottom corners with putty after they've been leveled so they stay put. I think any of these would make a sweet Valentine's gift for a loved one! Minted also has lots of cute classroom valentines. I can't believe we're already talking about Valentine's Day, but the ordering deadline is coming up! Be sure to order by next Wednesday, Feb. 1, to get your order by Feb. 13. P.S. If you're not already a Minted customer, you can sign up with my referral link to get $25 off your first Minted purchase of $100 or more! Happy shopping!